The Principal Garden condominium on the city fringe in the Alexandra area will be launched at the end of the month with average prices of around $1,600 per square foot. The 663-unit project in Prince Charles Crescent has four 24- storey blocks and is next to the Alexandra Park Connector that extends 4km towards the Central Business District. It is also within a 10-minute walk from the Redhill MRT Station. It comprises 182 one-bedroom, 304 two-bedroom and 69 three- bedroom units, as well as 66 three- to five-bedroom apartments with private lifts. The smaller units in the 99-year leasehold project are seen as being particularly appealing to investors, according to the joint developers, UOL Group and Kheng Leong Company. “Being near the city, the investment angle is strong and some parents (living nearby) may want to get a unit for their children,” UOL deputy group chief executive Liam Wee Sin said at a showflat viewing yesterday. The one-bedders range from 484 to 506 sq ft, the two-bedroom units are 764 to 807 sq ft while three-bedders are between 1,076 and 1,195 sq ft. Units with private lifts range from 1,238 to 2,347 sq ft.
Prices are around $1,600 per sq ft, making one-bedders cost around $770,000, two-bedders around $1.18 million, and three-bedders around $1.7 million. The showflats will be open for public viewing from next Saturday, for about two weeks. Mr Liam said the units will be launched in phases, with around 250 being made available initially. “We secured the Prince Charles Crescent site last year at a reasonable bid price (at $821 psf per plot ratio), by which we are now able to pass on value and savings to buyers,” he said. Analysts noted that the development has attributes that could sit well with investors – competitive pricing, a good location as well as a large number of smaller units, especially the popular two-bedders. Prospective buyers of private homes can look forward to a more transparent property market when changes to the Housing Developers (Control and Licensing Act) kicks in from 25 May 2015, revealed the Ministry of National Development (MND). The new rules for residential developers will ensure more comprehensive information on prospective property purchases while showflats must accurately depict the housing units offered for sale. In April 2013, Parliament approved amendments to the Housing Developers (Control and Licensing) Act to improve and update legislative safeguards for buyers of uncompleted private residential properties. The amendments will enhance market transparency by providing the public with more comprehensive and timelier information on the private residential property market. Since then, MND has worked on the subsidiary legislation, the Housing Developers Rules, to effect these policy changes. The effort includes the implementation of a new set of rules on show units, the Housing Developers (Show Unit) Rules. The legislative amendments, which were finalised through a series of consultations with members of the public and industry stakeholders, are now ready to take effect. The amendments will enable prospective home buyers to make better-informed purchasing decisions. From 25 May 2015, housing developers must submit detailed transaction information to the Controller of Housing every week. This information will include sales volumes and transacted prices of individual units in their building projects, and the value of any benefits extended to buyers. Developers will be required to submit this information to the Controller within five days of the end of each preceding week. This information will be published on the Urban Redevelopment Authority (URA) website weekly from 5 June 2015. The Option to Purchase and Sale & Purchase Agreement, which are standard forms prescribed under the Housing Developers Rules, will also be amended to enhance the safeguards for purchasers of private residential properties. For example, developers must indicate the value of any benefits (such as cash rebates, absorption of legal fees or stamp fees, rental guarantees and furniture vouchers) offered to buyers. The amendments to both forms will take effect on 20 July 2015. This is to provide developers sufficient time to comply with the amendments. MND is introducing the Housing Developers (Show Unit) Rules to ensure that all show units provided by developers are accurate depictions of housing units offered for sale. The housing market in the vicinity of Jurong Gateway is expected to heat up in the coming months after recent news on the upcoming terminus for the much-anticipated Singapore-Kuala Lumpur high speed rail (HSR) project, revealed Knight Frank and reported in the media. Given the bullish projection, developers will likely launch more units at residential projects close to the terminus site at the current Jurong Country Club, the consultancy said. “New units are expected to be rolled out in projects situated within the vicinity of the terminus, as developers look to capitalise on the positive developments in the area,” noted the report. These include Waterfront @ Faber with 30 yet-to-be released units and Lakeville with 246 unlaunched units. Both developments are about two kilometres from the future HSR terminus. HDB resale prices showed slight pick-up in January. 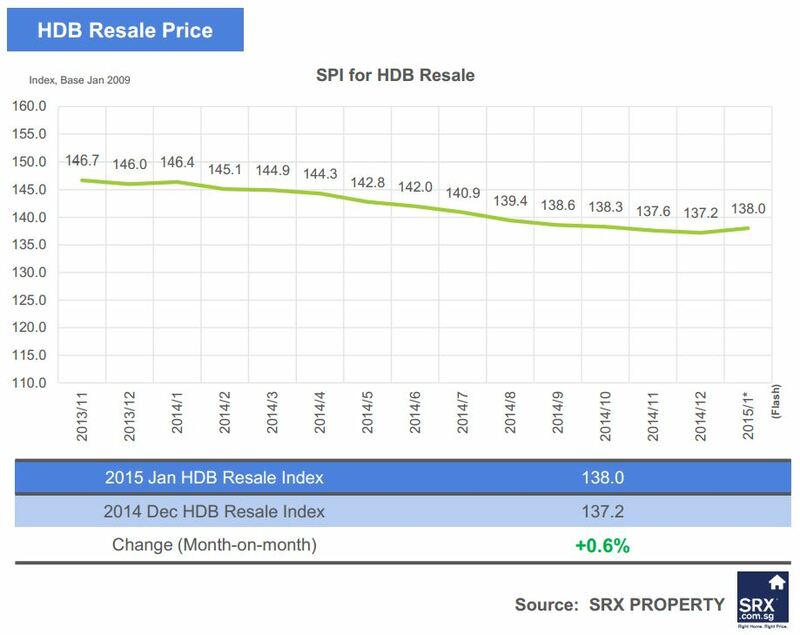 HDB resale prices picked-up by 0.6% in January 2015 compared to December 2014. The price increase was driven by HDB 4 and 5 Room flats whose resale prices increased by 1.1%, and 1.5%, respectively. 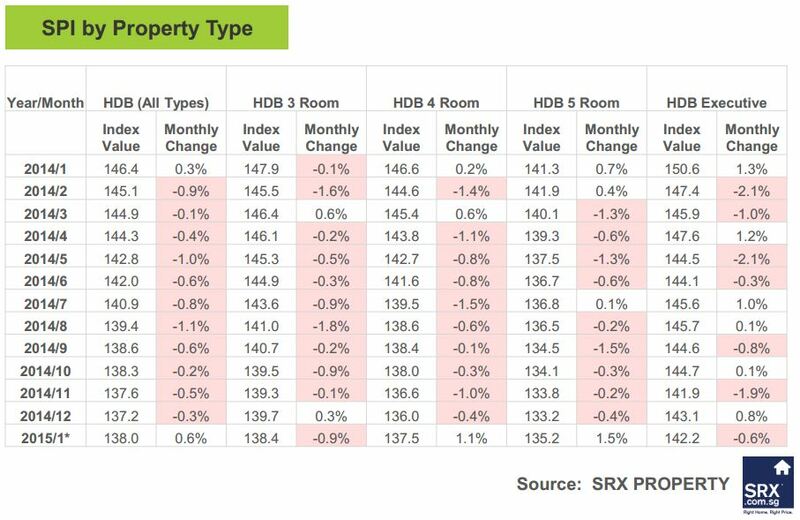 On the other hand, the resale prices for HDB 3 Room and Executive flats saw a decrease of 0.9% and 0.6%, respectively. Resale volume dropped slightly. 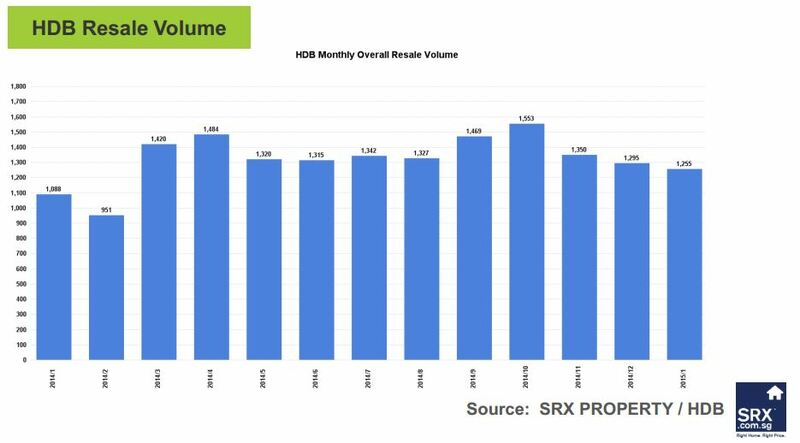 According to HDB resale data compiled by SRX Property, 1,255 HDB resale flats were sold in January 2015, a 3.1% decrease from 1,295 transacted units in December 2014. Resale volume is down 65.6% compared to its peak of 3,649 units in May 2010. 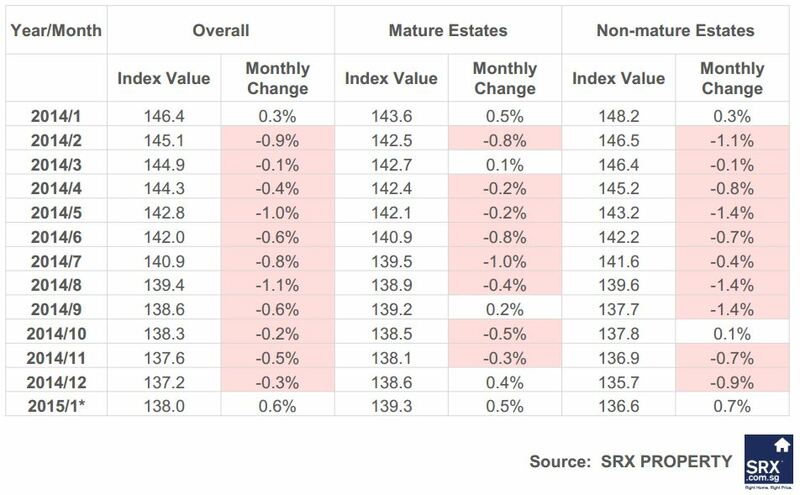 Overall median Transaction Over X-Value (T-O-X) improved but stayed negative. 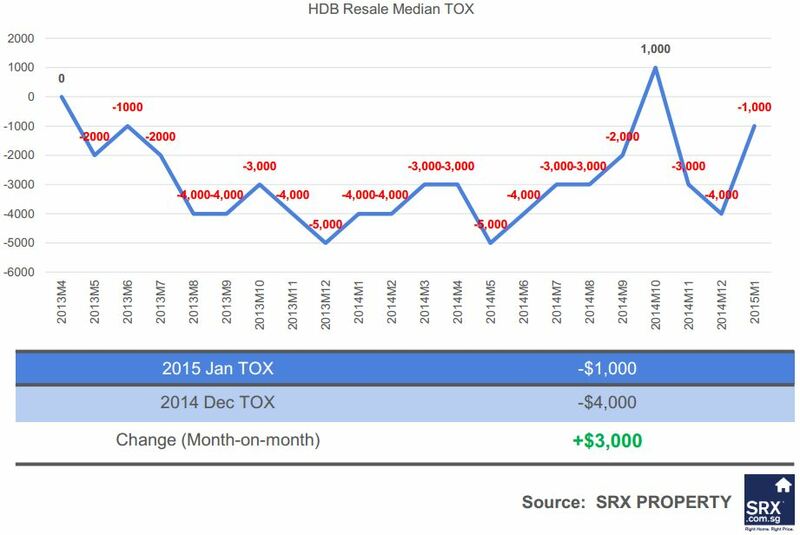 According to SRX Property, HDB prices continue to face downward pressure and negative market sentiment in January 2015. 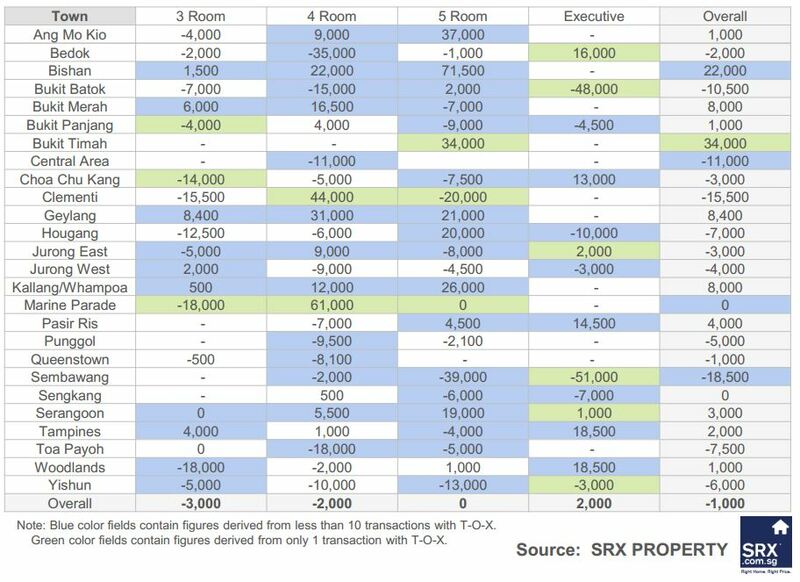 The median T-O-X for HDB measures whether people are overpaying or underpaying the SRX Property X-Value estimated market value. Median T-O-X for HDB 3 and 4 flats were negative while 5 room and Executive flats saw a neutral and positive median T-O-X, respectively. Geylang posted the highest median T-O-X. For HDB towns having more than 10 resale transactions with T-O-X in January 2015, Geylang reported the highest median TOX of $8,400, followed by $8,000 in Bukit Merah and Kallang/Whampoa. This means that majority of the buyers in these towns has purchased units above the computer-generated market value. 5. Among relatively active towns, Clementi posted the most Negative median T-O-X. 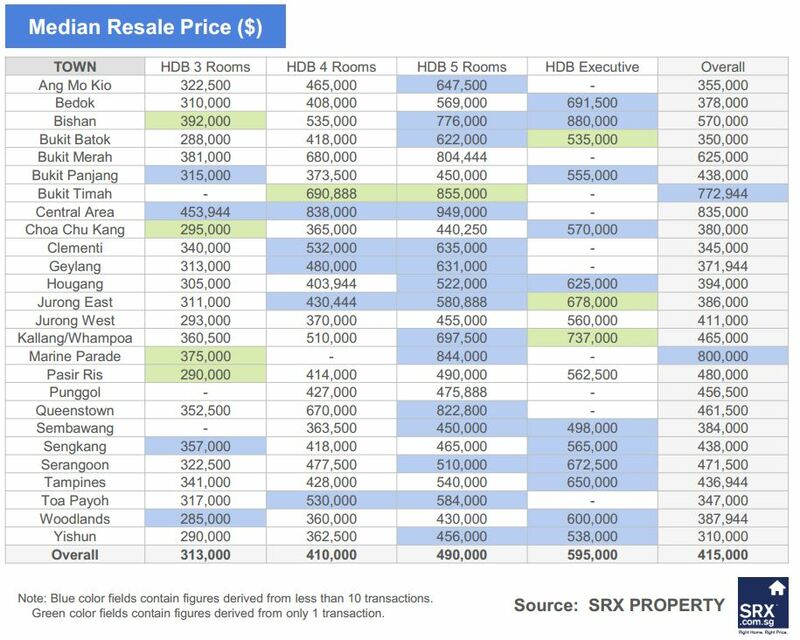 Among HDB towns having more than 10 resale transactions with T-O-X in January 2015, the lowest median T-O-X were in Clementi, Bukit Batok, and Toa Payoh, at NEGATIVE $ 15,500, NEGATIVE $10,500, and NEGATIVE $7,500, respectively. This means that majority of the buyers in these towns has purchased units below the computer generated market value. This week’s tweak in the total debt servicing ratio (TDSR) framework is targeted at a small group of stressed households that are struggling to get mortgage refinancing, analysts said in reports yesterday. They were referring to the move on Monday by the Monetary Authority of Singapore (MAS) to exempt owner-occupiers from the TDSR cap of 60 per cent – specifically those looking to refinance the homes they bought before TDSR took effect last June 29. The cap mandates that a borrower’s monthly instalments for all debt-servicing – including mortgage payments – must not cross 60 per cent of his gross monthly income. Analysts commented that the revision to the rule, designed to prevent people from over-extending themselves, may suggest that the group of “fringe households” – those with a debt-servicing ratio (DSR) of 40-60 per cent – may be larger than earlier anticipated. However, they say that in light of the small numbers affected, the tweak hardly foreshadows a rollback of property cooling measures. Instead, they expect the measures to stay, with some predicting a reversal only next year. The exemption also applies to investment property loans, though the borrowers must go through with refinancing by June 30, 2017, and commit to a debt-reduction plan at the point of refinancing. Last year, the MAS said that 5-10 per cent of borrowers here risk being over-leveraged – defined as having a DSR of more than 60 per cent – and that this proportion could rise to between 10 and 15 per cent if mortgage rates edge up three percentage points. Citi analyst Adrian Chua said in a note that stretched borrowers have been held to ransom by lenders in the post-TDSR period. Credit Suisse analysts Yvonne Voon and Anand Swaminathan, concurring, wrote in a report: “Post-TDSR, banks raised their spreads, taking the view that the borrower would have no choice but to stay with the current bank”, given that refinancing could mean a breach of TDSR. Credit Suisse estimates that 40 per cent of property-owners qualify for the TDSR exemption, which took effect immediately on Monday. However, under 20 per cent of them are actually hit, because, given the low interest rates in the last three years, most of them would have already refinanced their loans. Mortgage rates typically have a lower spread to the Singapore interbank offered rate (Sibor) in the first two or three years, but jump from the fourth year, noted Citi economist Kit Wei Zheng in a report. This has prompted borrowers to undertake refinancing in the third year to enjoy “teaser” rates again. He questioned whether there was a larger proportion of borrowers deep in debt than earlier envisioned. The MAS had said this year that one in five borrowers (20 per cent) has a DSR of 40-60 per cent. Mr Kit believes the proportion to be higher; as much as 25-30 per cent of existing borrowers may already have a DSR of more than 40 per cent at the current low interest rates, he said. As a whole, analysts predict that regulators would create a cushion for a “soft-deleveraging”. Since short-term interest rates are still low, any “meaningful policy reversal” would come only late next year, HSBC said. Looking at the impact on banks, Credit Suisse analysts said that the TDSR tweak should boost refinancing volumes – which has historically made up a third of the new-loan market – but may also hit the banks’ margins. GOING by recent searches on the STProperty website, the Pasir Ris and Punggol areas are attracting the most interest from potential home buyers. “Waterbay EC could be attractive to budget-conscious home buyers, for its lower price points and location attributes with its proximity to the Punggol Waterway and future retail amenities at Waterway Point,” she added. Upcoming projects in an area could have created renewed interest in older projects such as the 646-unit Icon in Tanjong Pagar, one of STProperty’s popular searches. A mixed-use development called Tanjong Pagar Centre by Singapore-listed GuocoLand will open in the area in 2016 with the boast of being Singapore’s tallest building at 290m. Knight Frank’s Ms Tan said: “The development has heightened the attractiveness of Tanjong Pagar in terms of business vibrancy. A 99-year private condo plot about 450 metres from the Lakeside MRT station attracted 12 bids yesterday, in an indication that developers’ interest in prime suburban sites may not have been curbed by the round of property-cooling measures unveiled this month. However, industry players and market watchers offered mixed readings of MCL Land’s top bid of $651.33 per square foot per plot ratio (psf ppr), which was 3.3 per cent above the second highest bid of $630.57 psf ppr from the UOL Group. The top six bids were within a 10 per cent range. Some property consultants said MCL’s bid exceeded their expectations; in November, when the site was launched, they had forecast that the winning bid would come in at up to $600 psf ppr. Even then, he commented that “the tender result shows that market confidence has not been dented by the latest cooling measures, effective Jan 12 – at least for the higher bidders”. Some developers said yesterday’s top bid would have been even higher if not for the cooling measures. The site, bounded by Jurong West Street 41 and Boon Lay Way, is next to the Canadian International School; it is also adjacent to another condo plot available for application under the government’s reserve list. Koh Teck Chuan, chief executive of MCL Land, told BT that if not for the latest cooling package, the group’s bid would have been higher – probably $710 to $720 psf ppr. In May last year, MCL paid $705 psf ppr for a condo plot near Jurong East MRT station, where it is developing a 738-unit project; this is expected to be launch-ready by mid-year. 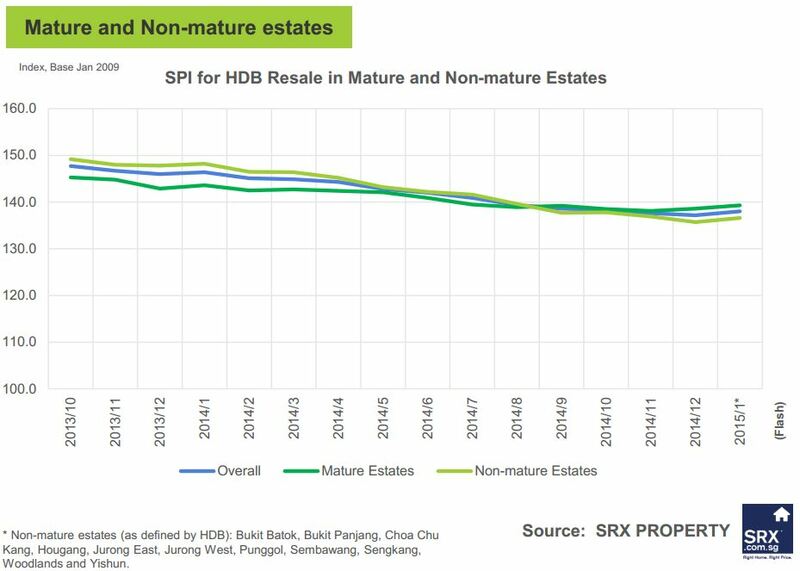 Suburban residential land prices have moved up since last May, Mr Koh pointed out. Moreover, the Jurong East location, where a new commercial hub is coming up, offers more “positive attributes” than the area around Lakeside MRT station two stops away. He noted, however, that the Lakeside plot would have a plus in the form of unobstructed views of Jurong Lake. Mr Koh agreed with some property consultants’ suggestion that, based on its $651 psf ppr bid yesterday, MCL could break even at about $1,050 psf and look at posting an average selling price of around $1,300 psf. ERA Realty Network’s key executive officer Eugene Lim said that units in Lakefront Residences nearby are changing hands in the subsale market at between $1,100 and $1,300 psf. Analysts noted that the 12 bids at yesterday’s tender were identical to the number of bids received for the Jurong East tender last May as well as the tender for a site in Ang Mo Kio Avenue 2 near the future Mayflower MRT station, which closed on Jan 8 with a top bid of $790 psf ppr. Yesterday’s tender was supposed to have closed on Jan 15, but the Urban Redevelopment Authority postponed it to yesterday to give developers more time to weigh the impact of the measures. An executive condominium (EC) site at the intersection of Pasir Ris Drive 3 and Pasir Ris Rise was keenly contested, fetching a top bid of $207 million, or $331.10 per square foot per plot ratio (psf ppr). There were 10 bidders in all for the 99-year leasehold plot, the Housing and Development Board (HDB) said after the tender closed yesterday. Hao Yuan Investment, controlled by mainland China parties, put in the highest offer. This edged out World Class Investments’ bid of $206.7 million, or $330.60 psf ppr. Eugene Lim, key executive officer at ERA Realty, said the latest tender shows that developers continue to be interested in EC sites, and expects the latest plot to have a breakeven price of between $600 and $650 per square foot (psf). The nearby Watercolours EC has a median price of $719 psf, with 270 of its 416 units sold as of end-October. Demand from buyers should stay healthy too, Mr Lim said. “Upgraders chasing condominium lifestyles at more affordable prices will continue to be enticed by ECs,” he said. Mr Lim noted that private developments in the area have also been doing well, citing strong sales at Sea Esta, Ripple Bay and Seastrand. Other bidders for the site included Frasers Centrepoint’s FCL Tampines Court and Keong Hong Construction; Chinese developer Qingjian Realty, as well as a group comprising Evia Real Estate, Ho Lee Group and CNH Investment.